Hydrophones are used for picking up weak sound vibrations under water and the signal must be amplified by a high impedance hydrophone amplifier in order to convert the extreme high output impedance from the hydrophones piezoelectric ceramic into a low impedance signal which can	be handled by commonly	available signal processing equipment. Hydrophones and amplifiers are used for studying underwater acoustics and monitoring of sonar and communication sound signals from dolphins, porpoises and whales and detection of acoustic pingers and detection of cetacean clicks. Our Amplifiers are "state of the art" in performance and especially designed to be used	together with piezoelectric hydrophones. Recommended types of hydrophones may be the following types which we have chosen in order to cover all types of	demands from the	highest	scientific level to more common	requirement into high	quality	sound	recording. The impedance conversion rate is normally 1 to 10e9 ie. from an input impedance of 10 Giga ohm down to 10 ohm on the amplifiers output terminal. The etec line of amplifers offers an input impedance of 1 to 10 Gigaohm and 10picofarad which is sufficient to handle the frequency range from 0.1Hz to 1MHz even with the smallest types of transducer ceramics. We are capable of handling low level signals down to 1uVolt rms at 1KHz. which equals just about	60dB signal level under water. 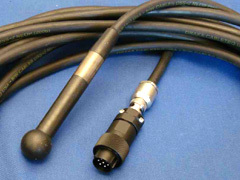 Passive hydrophones equipped with BNC connector. Ideal for both receiving and transmitting. They will both be able to handle 100Volt transmitting signal at 10% duty cycle. Picture showing Reson TC4033 hydrophone inclusive the adaptor for Hirose 7 pole to BNC connector . Used to connect standard type Reson TC4033 or eq. with BNC connectors to suit for the etec PD1102 portable fishery inspection and listening amplifier. The 7 pole Hirose adaptor to be delivered on reuest. 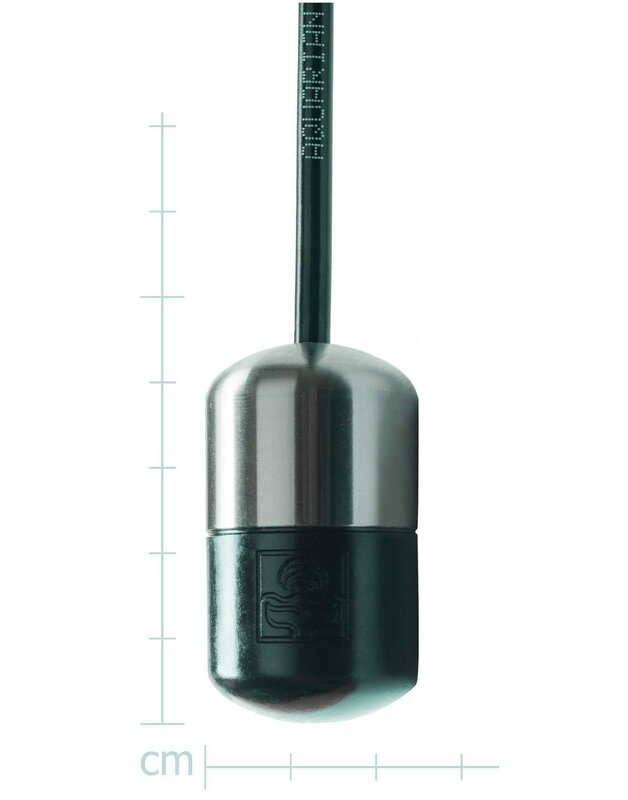 TC 4033 Reson hydrophone. Price€ 1.400/pc. These hydrophones represent the best choises for alternative hydrophones which will suit smaller budgets. The calibration is not included but the sound quality and the general performance is very good. You may buy them directly from Aquarian Audio or you can buy them from here together with our eqipment - the price will be the same. 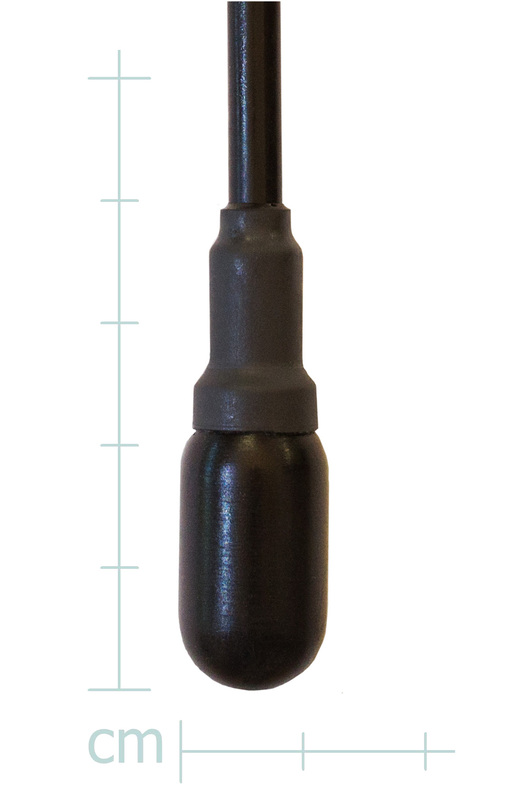 The H1a hydrophone is designed to provide high-quality audio performance in a low-cost device. It is very durable and will interface directly with high-impedance microphone or instrument preamps. It offers very good sensitivity and low noise in the human auditory range. The H1a’s streamlined shape and high specific gravity will help to maintain a low working depth in a moving water column. Its compact size and the easy hand of its cable make it very portable and simple to use. The H2a-XLR hydrophone is designed to work with any PA system or recording device that offers a balanced, phantom-powered, microphone input. It uses the same low-noise, robust transducer assembly as our H1 hydrophone, but includes a low noise internal buffer amp. Operation is very simple: just connect to your mic preamp, switch on phantom power and use. No additional power supply is required. The AS-1 hydrophone is designed to provide maximum sensitivity in a small size while also providing a linear response in the bandwidth of the highest-quality commercial digital sound recording interfaces. Response is omnidirectional in the human auditory bandwidth, as well as omnidirectional in the horizontal axis at all frequencies (theoretical). Given these qualities, the AS-1 is well-suited for absolute underwater sound measurements in marine and industrial environments. It can also be used as an omnidirectional reference projector. A hydrophone (Greek "hydro" = "water" and "phone" = "sound") is a microphone designed to be used underwater for recording or listening to underwater sounds. Most hydrophones are based on a piezoelectric transducer that generates electricity when subjected to a pressure change. Such piezoelectric materials, or transducers can convert a sound signal into an electrical signal since sound in water is a pressure wave in fluids. Sonar is the name given to the acoustic equivalent of radar. Pulses of sound are used to probe the sea, and the echoes are then processed to extract information about the sea, its boundaries and submerged objects. An alternative use, known as passive sonar, attempts to do the same by listening to the sounds radiated by underwater objects.